Pay with PURA and support the planet! Which PURA wallet is right for you? Choose your free wallet and set it up. 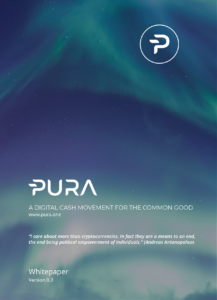 Buy your PURA from an exchange or receive PURA as a PURA merchant. Learn more about trading cryptocurrencies and start trading on your own. Buy goods and services online or from a PURA merchant near you. Have you registered as a PURA Merchant yet?